When To Book Your Wedding Venue? It happened. You’re engaged! After showing off your beautiful ring to your friends, family and coworkers, it’s time to get to work on booking the perfect venue for the most important event of your life. You want a place that will provide the setting for a cherished memory that will live on in the mind of you and each and every one of your guests. You want a place that’s unforgettable. But when exactly should you book? The short answer is about 14 months before the special day. But, truth be told, each wedding is so unique in its own special way that many factors must be taken into consideration. These factors include the time of year when you have your heart set on getting married, the general location of where the wedding will take place, how many guests you’re inviting and, most importantly, your own personal dreams and desires. Keep in mind that none of these factors should be taken lightly, after all, this is your wedding day! 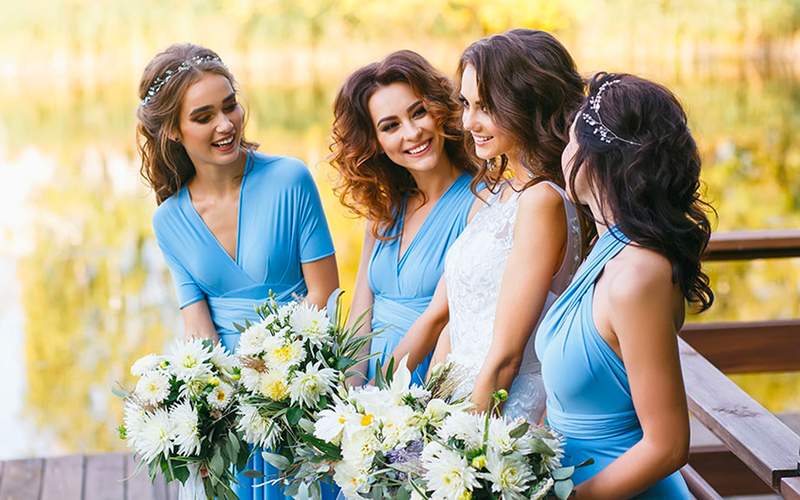 And if you aren’t sure exactly what kind of wedding you want to have, the wedding gurus at The Knot offer a handy Wedding Style Quiz to inspire you. The big three determining factors for wedding styles are the date/time of year, budget, and overall look of the venue. Don’t forget that it may be trickier, and possibly more expensive, if you book it last minute. It might not even be available. If a venue is booked up in those summer months, maybe this is where you and your partner can consider an “off season” wedding date, which falls during the autumn and winter months. Scheduling Fridays and Saturdays are difficult for many people, so don’t be surprised if your friends and loved ones applaud your decision to pick an unorthodox day of the week. The day of the week you choose for your special day is another crucial decision. Traditionally, Saturday has been the most popular day to get married, but as the cost of a Saturday wedding soars, new days of the week are being pondered by brides and grooms. 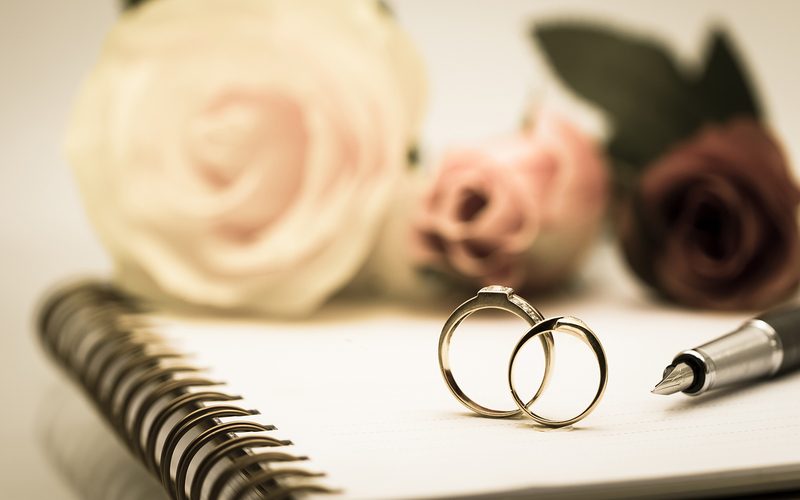 More and more couples are considering Thursdays and Sundays as possibilities for two reason: To try and decrease cost or so that they can get married in the month of their choosing that didn’t have a Saturday open. In fact, there’s been a 61% increase of people getting married on Thursdays over the past five years. It’s not typical, but it could definitely help when it comes to lowering cost and, believe it or not, several of your guests may thank you for it. Scheduling Fridays and Saturdays are difficult for many people, so don’t be surprised if your friends and loved ones applaud your decision to pick an unorthodox day of the week. If the venue of your dreams is an outrageously popular venue then strongly consider booking it as soon as possible, on the early side of that 14-month point. A popular or world-famous venue may require much more planning, resulting in a longer engagement time. 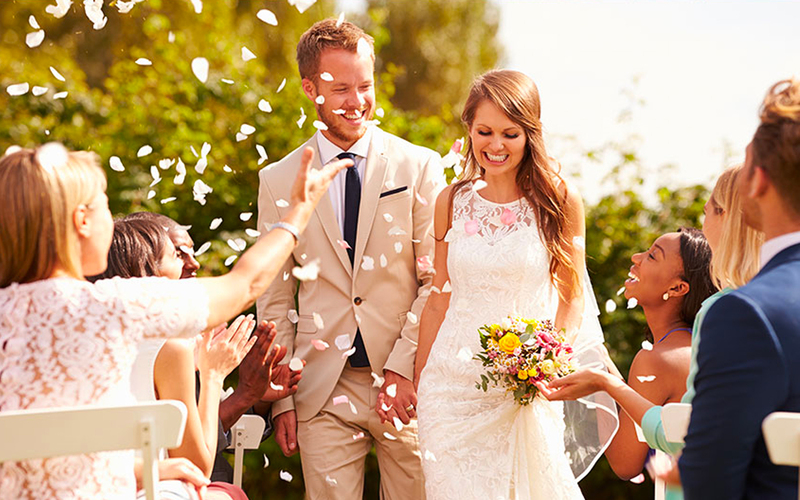 According to Wedding Wire statistics, more and more weddings are being held during the so-called “off” season of late summer and early fall. October was the most popular month in the past three years (2017, 2016, 2015), making fall the new most popular season for weddings. This is the key. The earlier the better when it comes to deciding and eventually booking that venue. Sure, most bookings are in that sweet spot of 9 months to around a year and a half. But know what you want. ...it can be hard to make plans for a photographer a band or DJ and even the cake without knowing the date and venue of the wedding. Once you’ve found a specific place, one of the first important bits of information to learn is how quickly the place you’re looking at fills up. Another element to think about is the type of vision or style or even theme you’re thinking about for the wedding. Another factor to remember is that it can be hard to make plans for a photographer a band or DJ and even the cake without knowing the date and venue of the wedding. And, of course, the food situation. 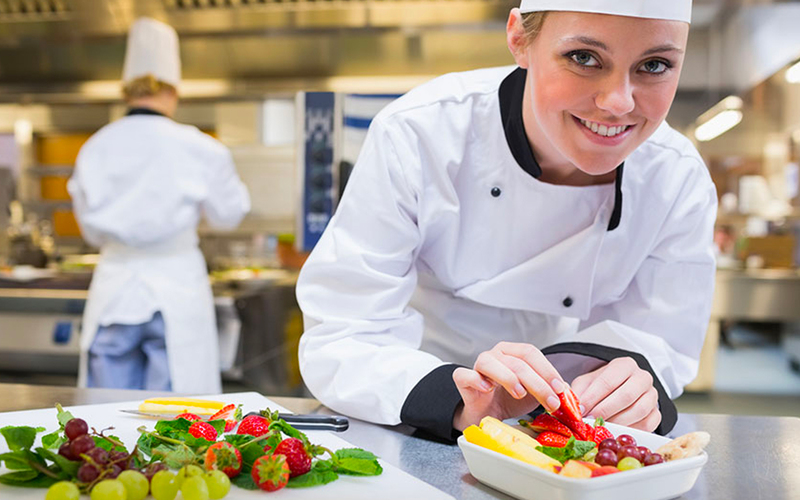 What style of cuisine do you want to enjoy with your guests? 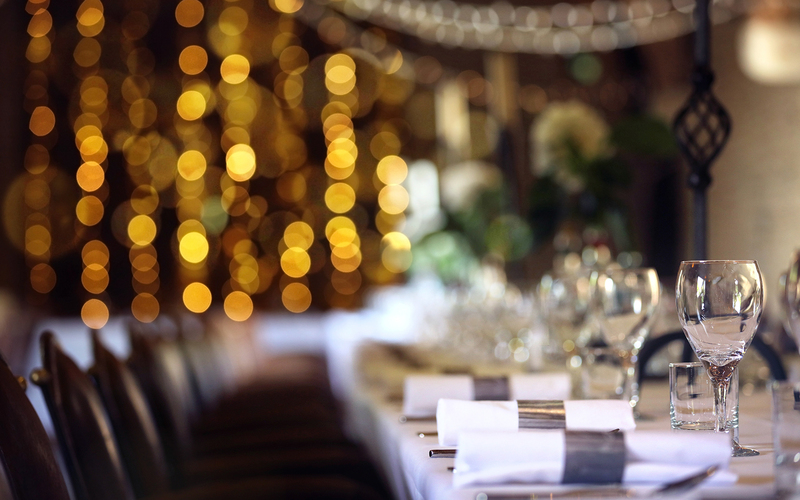 Food is an extremely important ingredient in your wedding, especially for your guests. And the venue you choose could have a big impact on your cocktail hour, entree menu, dessert options and more. Some key, food-related questions to ask include: Does your venue offer vegetarian or vegan options? Does the entree list offer exciting and trendy dishes or will your guests have to adhere to the traditional steak, chicken or fish choices? Then there’s everyone’s favorite wedding food event, the cocktail hour. Some venues allow the bride and groom to stage an eclectic array of pre-dinner snacks like a mac n’ cheese bar, charcuterie station and even food trucks. Party-planning guru Martha Stewart shares some truly delectable food-bar ideas at Martha Stewart Weddings. 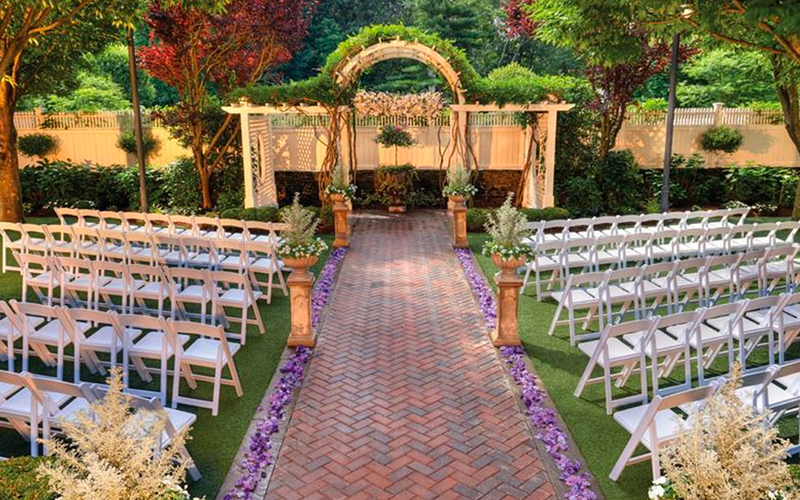 And don’t forget you may need to coordinate your ceremony site and venue site. Although more and more brides and grooms are opting to get married at their venue, it’s still a good idea to book your church as soon as possible. The length of your engagement will depend on how quickly you need to start calling your church and inquiring about dates. Booking the venue is the first step to getting everything else checked off the list. Not to mention it is one of the parts of wedding planning that may take more time to figure out and decide. Busier venues might seem like they have the mindset of, “it’s never too early!” And sometimes, they’re right. It all comes down to a personalized experience when deciding the time to book. The best way to go about finding the perfect venue to shape your uniquely beautiful wedding is to do some digging, plan ahead and think about what you and your partner want for the big day. 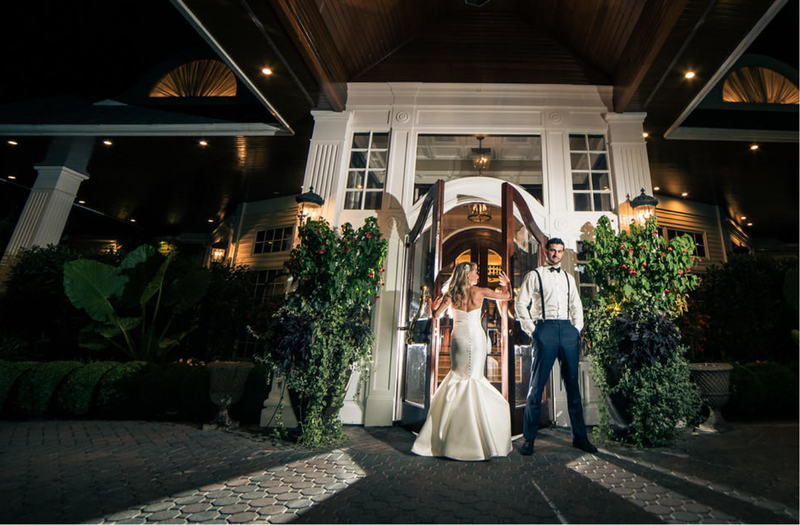 The Watermill is Long Island's premier event venue, mixing rustic warmth with modern luxuriousness in one magnificent space. For more information, contact us today.